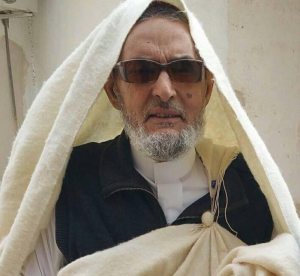 Sadek Al Ghariani, the increasingly isolated Tripoli-based grand mufti, together with Abdulhakim Belhaj, Ali Salabi, his brother Ismail, Mahdi Al-Harati and the entire Benghazi Defence Brigades have been named as terrorists by the Saudis backed the Emiratis, Egyptians and Bahrainis. Their names have appears on a list of supposed terrorists linked to Qatar which has been published by the Saudi Press Agency. Ali Salabi, who lives in Qatar, is the political mentor and, many say, the real leader of the Muslim Brotherhood in Libya. His brother Ismail was one of the Benghazi’s main Islamist leaders and a former commander of the Libya Shield No. 1 battalion. Belhaj, the head of the former Libyan Islamic Fighting Group who who leads the Nation Party, also has close ties to Qatar. There have been consistent reports, which he has denied, that he has his party have been bankrolled by Qatar. Mahdi Al-Harati was mayor of central Tripoli before being ousted by fellow councillors in August 2015 and then forced to quit the country. Prior to that, he funded Liwaa Al-Umma, a militant group that fought in Syria. It reportedly counted as one of its members London Bridge attacker Rachid Redouane. In a joint statement, four countries said the updated list was part of their efforts at “combatting terrorism, drying up the sources of its funding, countering extremist ideology and the tools of its dissemination and promotion, and to working together to defeat terrorism and protect all societies from its impact”. They insisted the move was necessitated by Qatar’s continuous violations to agreements which it had signed. It was accused of “supporting and harbouring elements and organisations that threaten the national security of other states”. Overall 59 people and 12 alleged terrorist groups were included in the updated list. The move follows several Arab states following the Saudi lead and cutting off diplomatic relations with Qatar amid accusations that it is linked to terror groups. The Beida-based Interim government and House of Representatives were among those to sever their ties with Qatar. Foreign minister Mohamed Al-Dayri said Qatar was involved in “repeated attacks on the dignity of the Libyan people after the February 17 revolution. He has now welcomed the addition of the Libyan names on to the terror list. Ghariani and Ali Salabi, however, have defended Qatar, rejecting the allegations against it.